EMC Symmetrix V-Max systems were introduced back in the month of April 2009. With this new generation of Symmetrix came a new name V-Max and a new Enginuity family of microcode 5874. In this blog post we will discuss the supported drive models for EMC Symmetrix DMX-4. Right before the release of Symmetrix V-Max systems, in early Feb 2009 we saw some added support for EFDâ€™s (Enterprise Flash Disk) on the Symmetrix DMX-4 platform. The additions were denser 200GB and 400GB EFDâ€™s. In case you were wondering, Cisco isn’t playing games with the Unified Computing System. Their aim is to take on IBM, HP, and Dell and become a major player in the data center server market. 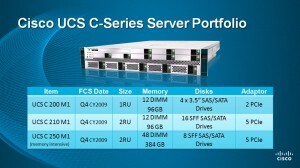 Cisco today announced a new Unified Computing System (UCS) server form factor: The C-Series rack-mount server. The C-Series features the same features found in the existing B-Series UCS blades but starts much smaller and cheaper. Cisco hopes to extend the UCS vision into small businesses, remote offices, and other locations where a blade server chassis would not make sense. EMC (NYSE:EMC) started a gunfight in the storage world today by offering an astonishing $1.8 billion for data deduplication sweetheart, Data Domain (NASDAQ:DDUP). This $30 per share offer one-ups rival NetApp (NASDAQ:NTAP) by $5 per share, which looked to have sealed the deal with a solid $1.5 billion offer on May 20. EMC’s offer is all-cash, while NetApp had mixed cash and stock. It has been two days since HDS introduced High Availability Manager (“HAM” to us), disappointing some and confusing others. Now that the dust has settled some, it has become clearer just what HAM is and how it works, and we come away more impressed. HDS has taken simple, proven technologies (path management, clustering, synchronous replication) and remixed them into a super-high-availability solution for the largest enterprises. Perhaps this is not what many expected, but it’s certainly a worthwhile addition to the company’s family of products. HDS: Hello, I am HDS man/Would you like some HDS HAM? Bloggers: I’d like to know ’bout HDS HAM/What is it, oh HDS man? 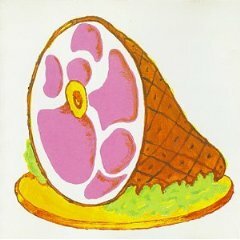 HDS: HAM moves bits from here to there/Available anywhere! Bloggers: My data has replication/Your brain must be on vacation! HDS: HAM automates operation/Don’t you want that long vacation? Bloggers: This sounds like what we had before/Amuse me now before I snore! HDS telegraphed that a big announcement was coming today. They even made it fun, with a (literally) cryptic blog entry to make sure we were all watching. But the announcement of High Availability Manager, a software product to manage existing HDS USP-V and USP-VM arrays, underwhelmed. 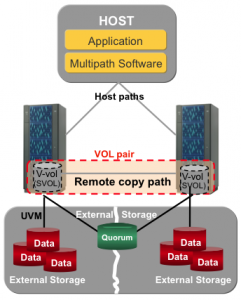 It isn’t HDS’ answer to the EMC Symmetrix V-Max and it’s forthcoming FAST technology. Will the vSphere 4 Upgrade Require Another VMFS Update? When folks upgraded from VMware’s version 2 products into the ESX 3 world, the first step most took was to update their old VMFS 2 datastores to the new version 3 of VMFS. With all of the new storage capabilities introduced in the vSphere 4 family, many wondered if a similar upgrade hassle would be required. Cisco Systems took some heat in the blogosphere about their Unified Computing System (UCS) vision. Many sites, including Gestalt IT, suggested that the admittedly impressive combination of hardware might not be all that welcome in corporate data centers. We at Gestalt IT applaud Cisco, and especially Wendy Mars, for their straightforward responses to our concerns, but we remain unconvinced.